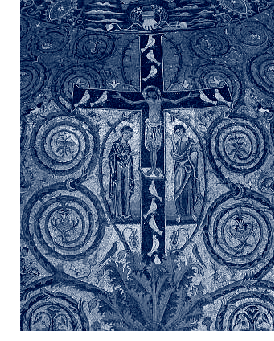 The traditional Vespers hymn for the feast of the Exaltation of the Cross is Vexilla Regis, one of the greatest liturgical hymns in the Latin treasury. Along with the many joys in your life, you can probably think of many crosses that have come your way. It’s not good enough, though, simply to have crosses in our lives. As Christians, we must “choose and welcome death.” Our crosses must become crucifixes! Everyone who is baptized has been anointed Priest, Prophet, & King, so we have been given the power to lay down our lives (John 10:18)—the power to “choose and welcome death.” Insofar as we exercise that power—that is the Triumph of the Cross!